Acne usually starts at puberty for many individuals, but can also start at any age. Acne is a chronic skin condition that occurs on the face, back, shoulders and chest. Acne is caused by overworking sebaceous oil glands that produce too much oil, bacteria and dead skin cells. When the skin pore become plugged by Propionibacterium Acnes (the acne causing bacteria), the bacteria multiplies and start to form skin lesions (acne, pimples). Consult your doctor before using sulfur products. Some people may be allergic to sulfur. SALICYLIC ACID Salicylic acid is used in the treatment of mild acne. It also contains Keratolytic. Salicylic acid is derived from the bark of the Willow Tree. It helps to fight acne by unclogging the pores. It must be used continually to see lasting results. 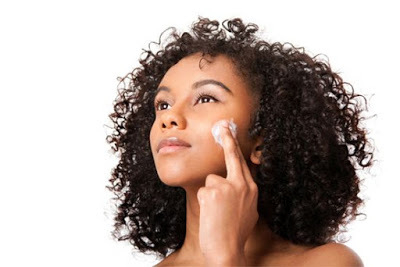 Salicylic acid is in face cleansers, face toners and face creams. This is most common and best acne treatment for oily skin. BENZOYL PEROXIDE Benzoyl Peroxide is used to treat mild to moderate acne. They come in different strength from 2.5%, 5.0% to 10.0%. There is no evidence to that the lower strength is more effective compared to the higher strength. With using benzoyl peroxide acne treatment, the difference is that the higher strength might be more drying for your skin compared to the lower strength. To avoid drying start with the lower concentration, so your skin adjusts to the drying effect then you can build up to the higher level. Consult your doctor before using products containing Benzoyl Peroxide. Hello alittlekiran, when I started seeking treatment for my acne, I opted for salicylic acid but I found it to be mild in treating my acne. What helped me is Benzoyl Peroxide.